For years, Astro has held a monopoly on the Malaysian pay-TV scene. If Malaysians wanted to watch the English Premier League, CNN or the National Geographic channel, they had no choice but to become an Astro customer. But, something has changed. Astro now has competition. This competition comes in the form of Videocon, a satellite TV provider from India which provides over hundreds of channels, including Malaysian favourites like ESPN, HBO and CNN as well as a slew of Indian channels covering a range of languages from Hindi to Tamil to Telugu to Bengali and many others. Best of all is that Videocon’s services come at a fraction of the prices imposed by Astro. There’s just one problem: Videocon is illegal and you could be fined up to RM100,000 – or even jailed – for tuning in. Nevertheless, this hasn’t stopped thousands of Malaysians from jostling for Videocon’s d2h (direct-to-home) services, which is said to be widely available around the country. Checks reveal that for a Malaysian to subscribe to the service, the individual has to get in touch with a distributor who installs the dish, sets up the decoder and registers the subscription. “Installation is done quickly and home owners can receive the signal within two to three hours. They can watch over 300 channels with the Videocon d2h service,” a source told Yahoo! Malaysia. He explained that though the signal is wired to Malaysia, the subscription is actually registered in an Indian citizen’s name. While satellite dishes measuring three feet wide are used for landed properties (to ensure higher quality reception), condominiums and apartments are fitted with Astro dishes to disguise the fact that the home owner is using an illegal service. Meanwhile, the decoder and remote control are sourced from India and are provided in the installation package. Typically, Videocon installation and subscription prices start from RM1,100. However, some online advertisements claim installation can be done at half the price. Malaysian Communications and Multimedia Commission (MCMC) Head of Strategic Communications Sheikh Raffie Abd Rahman told Yahoo! Malaysia the use of Videocon constituted the ownership of non-standard equipment – an offence under the Communication and Multimedia Act 1998. “MCMC advises the public not to procure such equipment and to only procure (equipment) from licensed service providers,” he added. Under the Act, any individuals owning or installing non-standard equipment is liable to a fine of not more than RM100,000 or face a jail term not longer than two years. Offenders could be liable to both punishments as well. Threats of fines and jail terms have done nothing to put off Malaysians though as questions and tips on Videocon’s availability have been shared over several online forums. On Indian-based forum, Dishtracking.com, many queries have been posted about the availability of the service in Malaysia. 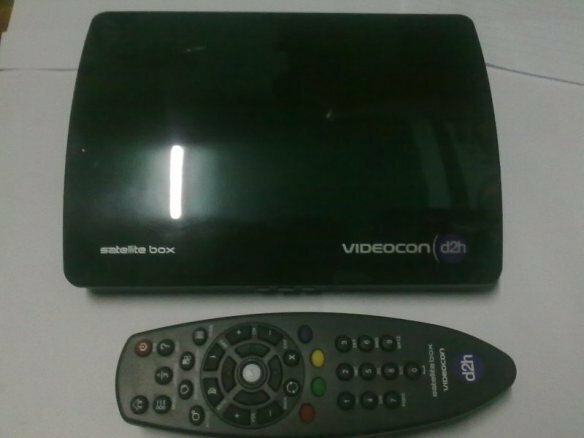 On Saveondish.com, some users ask if Videocon is illegal in Malaysia while others enquire as to its availability in certain parts of the country. “Hi guys, I’m from Ipoh, Malaysia. Can I know whom should I contact to fix the Videocon at Ipoh? Can I use my existing Astro dish for the purpose?” asked user, mhmj786. There are also those who use such forums to advertise their services, such as Azarudeen, who says he installs Videocon in Malaysia and offers his contact details to those who require his services. Advertisements for the service in Malaysia can be seen in websites like http://myd2h.blogspot.com/, with and http://harizamrry.com, which accepts only text messages to order the service. Email queries from Yahoo! Malaysia to Videocon d2h in India went unanswered. The company’s website states that it offers direct broadcast satellite services to residents in India, using MPEG-4 DVBS-2 technology and offering more than 400 channels. Meanwhile, Astro All Asia Networks plc, declined to comment when contacted by Yahoo! Malaysia. According to its annual report, Astro is the holding company for MEASAT Broadcast Network Systems Sdn Bhd, the sole operator of direct-to-home satellite pay television services. Astro also holds the exclusive DTH license until 2017, based on information from Malayan Banking Berhad’s investment report dated November 27, 2012.